1st edn. 8vo. Original gilt lettered purple cloth (Fine), dustwrapper (near Fine in protective wrapper, not price clipped). Pp. 191, illus with b&w plates and maps. [Letters from Western Front, Gallipoli and Mesopotamia.]. Very Good. 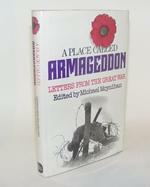 A Place Called Armageddon: Letters from the Great War by Moynihan, Michael, 1975-04-17. 196 p. 2M. Good. A Place Called Armageddon: Letters from the Great War by Moynihan, Michael, 1975-04-17. 196 p. 2M. No date (c 1975). David & Charles. Book-VG. DJ-VG, edgewear, spine & edges darkened. 9x5.5. 191pp. 9 b/w photos. 2 maps. Used-Very Good. VG hardback in Good dust jacket. Small mark on page fore-edge; dust jacket slightly shelf-worn, with faded spine. Very Good+ in Very Good+ jacket. 8vo-over 7¾"-9¾" tall This is a Very Good + Copy of this Book in Publisher's mauve cloth with gilt title lettering to spine in a Very Good + Dust-Jacket that has NO chips or tears to the outer edges of the wrapper. Price clipped, with one neat owner's name to the ffep. Lovely clean copy internally, 8vo 191pp First Edition 1st Impression. Very Good+ 9780715369593. Purple hard covers, gilt titles to the spine. First Edition. Very Good++, pages are tightly bound, bright & unmarked. Light spine end bumpings. The DJ is unclipped and in Very Good++ condition. Black and white photosections. 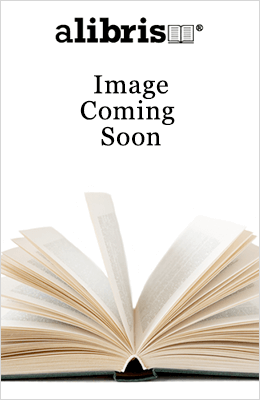 "These experiences of World War 1, on the Western Front, Gallipoli, Mesopotamia and in the air, are among the most personal eye-witness accounts to be published in a book. "; 8.58 X 5.59 X 0.94 inches; 196 pages.